Abies concolor 'Fagerhult' is an irregular upright, pendulous selection of White fir that has a great deal going for it. To start, it's probably the best strictly weeping cultivar of this species known at this time. 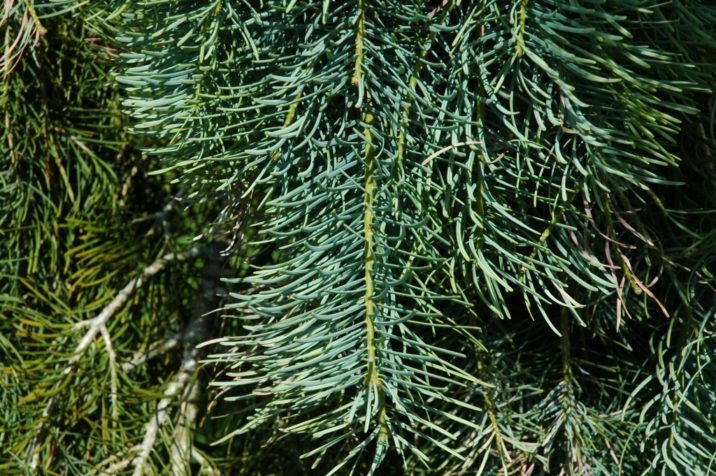 In addition it has exceptionally long, almost cerise-Blue needles; it is arguably one of the Bluest fir cultivars. Keep in mind that a young tree will remain prostrate unless staked, but once developing apical dominance, it will develop into a handsome, pendulous little tree. After 10 years of growth, a mature tree will be 5 to 6.5 feet (1.5 - 2 m) tall and 2 feet (0.7 m) wide, a rate of growth of 6 to 8 inches (15 - 20 cm) per year. This cultivar originated as a seedling selected in 1932 by Fagerhult Nursery, Sweden. They later gave the original plant to Tage Lundell of Helsingborg, Sweden in 1973. 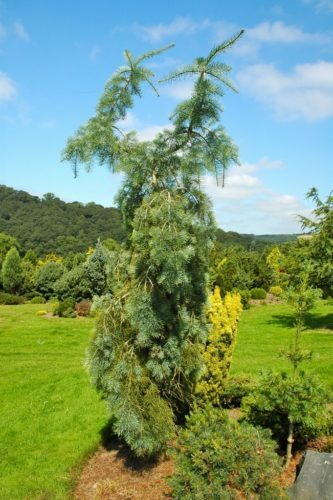 It was later propagated and released to the nursery trade through Wansdyke Nursery of Devizes, United Kingdom under the name 'Pendula Fagerhult' which would at that point been an illegitimate name. Abies concolor 'Fagerhult' — a mature specimen. Abies concolor 'Fagerhult' — a closeup of foliage detail.